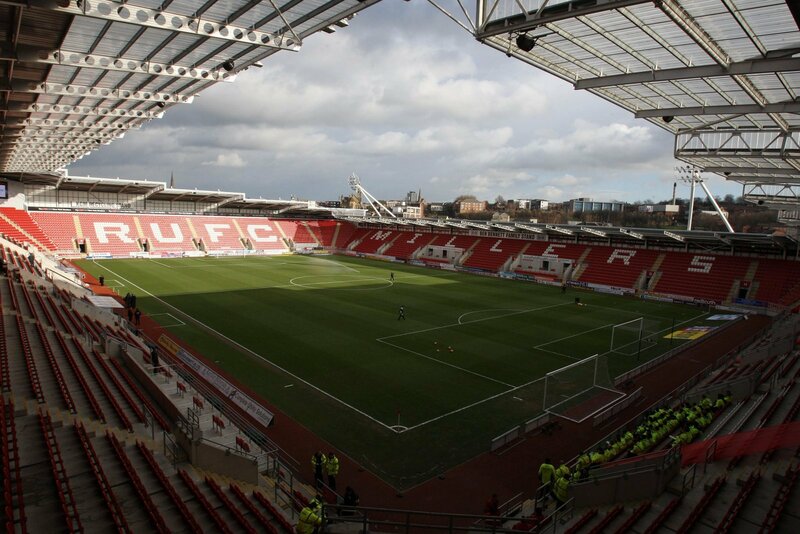 Leeds United travel to the New York Stadium to take on Rotherham United tomorrow afternoon for matchday 29 in the Championship. The Millers have the worst form in the division in the last six games, winning one and registering five defeats, three before the win and two after. It’s a run of form that has seen Paul Warne’s side slip further down the table to now sit just outside the relegation zone, two points above Reading who occupy the final place in the bottom three. Leeds, meanwhile, sit atop the table by one point and could well extend their lead over the chasing pack with a win over their local rivals. Marcelo Bielsa’s men currently have indifferent form having lost three of their last six, winning three. Defeat last time out will be of concern to the Argentine head-coach, who will be looking for a reaction from his side. Ahead of the clash, Sky Sports enlisted the help of pundit David Prutton to give his thoughts on the outcome of this intriguing Championship fixture. The EFL presenter said: “Rotherham were drawing too many games until not too long ago, but now those draws seem to be turning into defeats, and they have slipped down to just above the relegation zone as a result. “Leeds will see this as a great opportunity to get back to winning ways. One side is in indifferent form while the other is on a poor, poor run – and that points to one clear winner. But in derby games, form goes out the window and both sides need the points for very different reasons at opposite ends of the table. Despite form carrying little weight in a rival game, I agree with Prutton that Leeds will win this one, but I think it will be more convincing. Expect a reaction from the Whites and a resounding win for the visitors – I am going for a 4-0 win for Leeds.